Iron Maiden recently remastered 19 albums from their catalog for iTunes and now the band are sharing a behind the scenes look at the project. Recording/mix engineer Tonty Newton and mastering engineer Ade Emsley explain the processes involved in updating audio from original master tapes to today’s current technology. 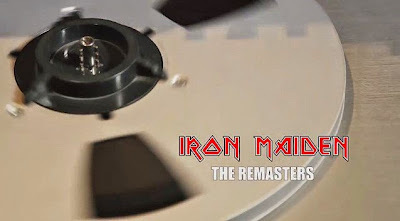 The project saw Iron Maiden remaster all 15 studio albums, 2 Best Of collections and 2 live albums from their original analogue sources exclusively for iTunes. "The Mastering For iTunes procedure allows the listener to experience the music as close as possible to the way the artist intended it to be heard,” says bassist Steve Harris. “So of course I was very keen for the Maiden albums to be mastered in this way. Check out Iron Maiden’s remastered catalog at iTunes.